The award-winning golf facilities at the five-star La Manga Club have been put in a refreshing new light by a new set of images commissioned by Spain’s flagship sports and leisure resort. Acclaimed Swedish photographer Jacob Sjöman spent three days at the famous Murcia resort shooting its three world-renowned 18-hole courses – the South, North and West – and capturing the magic that has made the venue so popular with golfers across the globe. Sjöman has photographed many of the world’s leading courses including Cape Kidnappers in New Zealand, Thracian Cliffs in Bulgaria, Trump International Golf Links and Castle Stuart in Scotland and Le Golf National – venue for next month’s Ryder Cup in France – and he was delighted to be given the chance to add La Manga Club to his expanding portfolio. “It was a great privilege to visit and photograph La Manga Club for the first time and I was amazed by the whole venue,” said Sjöman, who is based in Stockholm. “With three different courses, I believe it ticks all the boxes, both for members and visitors. And, when you add in the other excellent facilities, delicious food and hospitality, this is certainly a place I could bring my own family to and just enjoy life. 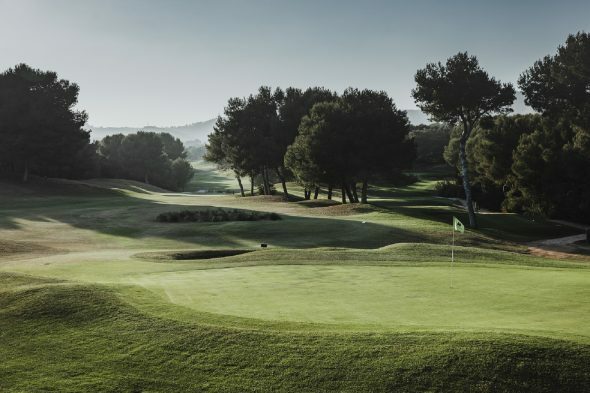 A five-time host of the Spanish Open, La Manga Club has been a firm favourite with golfers for more than four decades, with its comprehensive facilities including three 18-hole courses, a nine-hole academy course and outstanding practice area. Eduardo Ruiz, La Manga Club’s sports general manager, said: “It’s been another fantastic year for La Manga Club and we wanted a new collection of golf images to reflect the continued investment and development in our golf facilities. Named as ‘Europe’s Best Golf Venue’ at the 2017 World Golf Awards, La Manga Club recently joined a select group of golf clubs in Spain to have been granted royal status after being awarded the title ‘Real Golf La Manga Club’, while other top accolades include being voted ‘Europe’s Leading Luxury Resort & Villas’ at the World Travel Awards Europe in 2017 and 2018. In addition to golf, the resort’s extensive other facilities include a 28-court tennis centre, a European Cricket Performance Centre and a 2,000sqm luxury Wellness Centre. In addition, it features the choice of a five-star hotel, four-star serviced apartments and townhouses and more than 15 bars and restaurants.